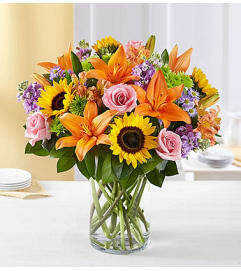 Give a gift that gets to the center of their Summer celebration. 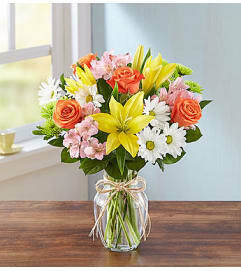 Our expert florists transform our bestselling seasonal arrangement into a truly original centerpiece that dresses up the dinner table with bright and colorful blooms. 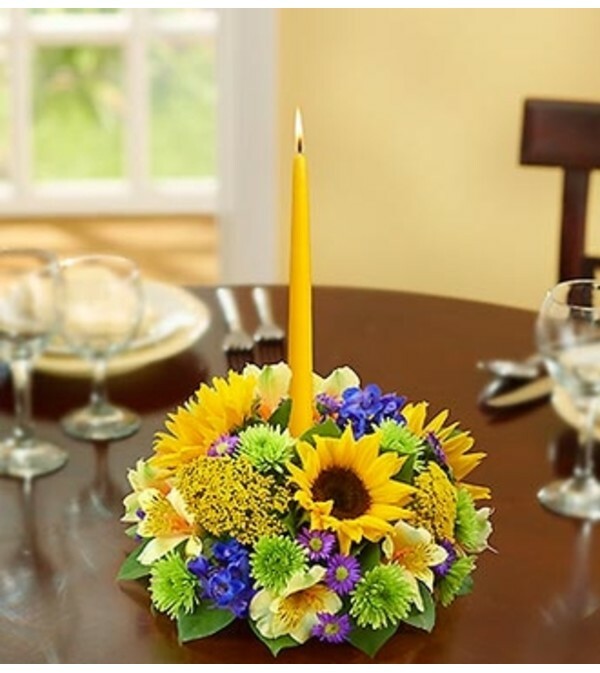 A taper candle is surrounded by a bounty of sunflowers, delphinium, alstroemeria and more, ready to send instant smiles to friends, family and Summer hostesses.